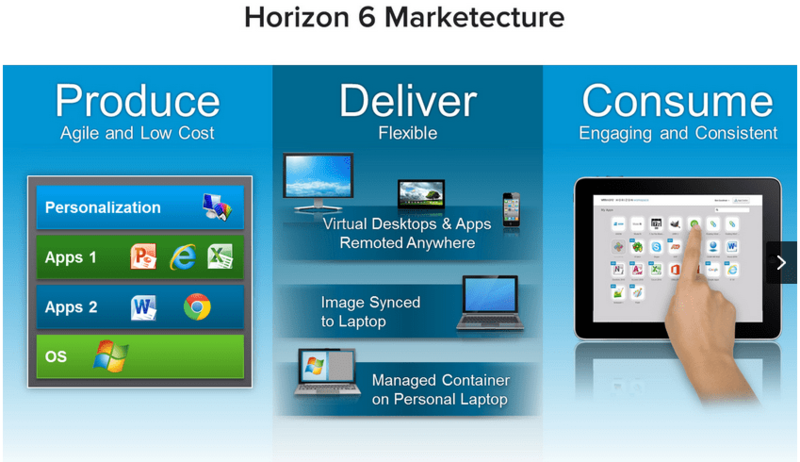 Last Saturday VMware made the downloads available for the long awaited VMware Horizon 6. The Horizon 6 suite has major improvements and contains several products combined in this suite. VMware View is the most known part of it and VMware’s VDI solution. In this release VMware offers published applications and desktops on a single platform. It now integrates with Citrix XenApp and RDS-based desktops, delivers a unified workspace where users can access all apps and desktops using a single portal. It doesn’t matter whether it are local, RDS,SaaS or published apps from third party platforms (i.e. Citrix XenApp). A new client that makes it possible to deliver a hybrid cloud solution where it doesn’t matter where the virtual desktops and applications are running (on-premise, at a service provider or through VMware vCloud Hybrid Service. Registration for VMworld Europe 2014 is now open!